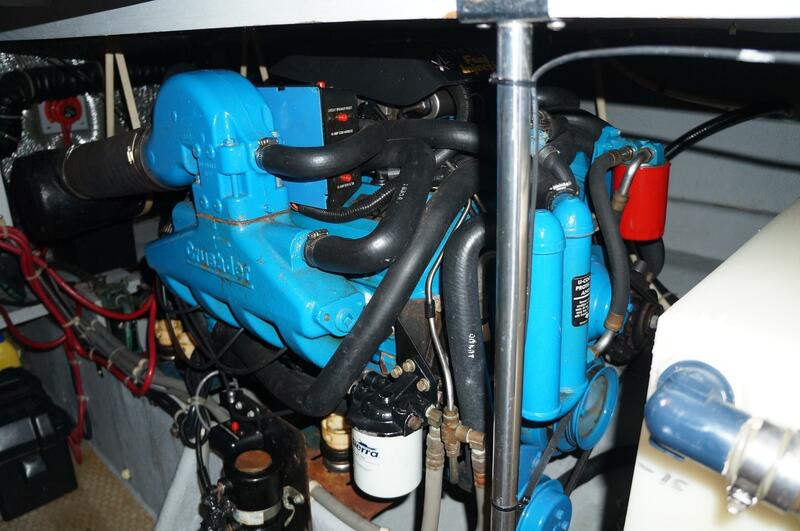 THIS IS A BEAUTIFUL 41 SILVERTON CONVERTIBLE w/ TWIN CRUSADER 502's AND ONLY 1000 HOURS!! 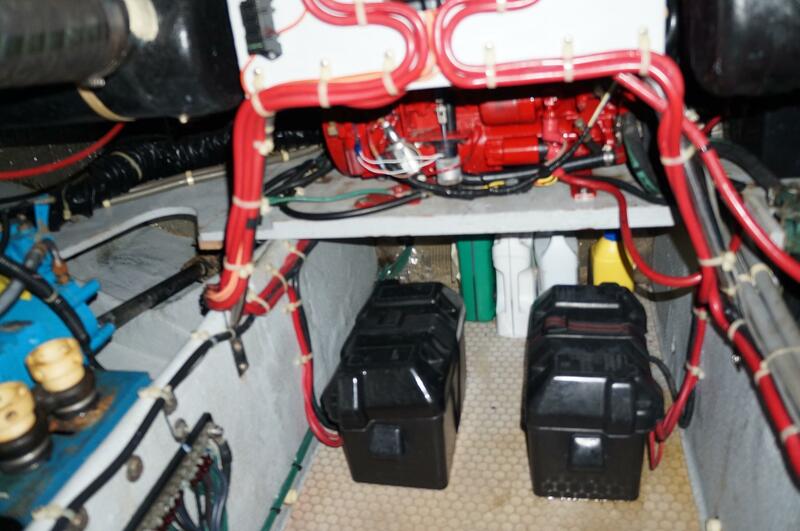 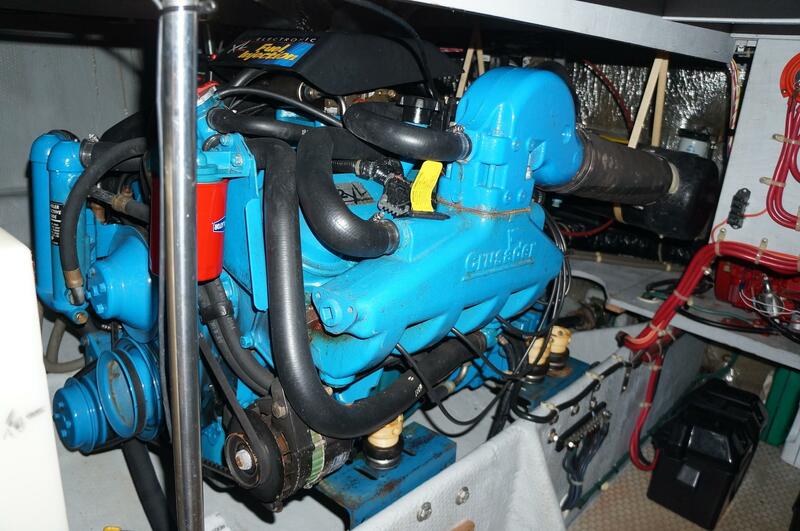 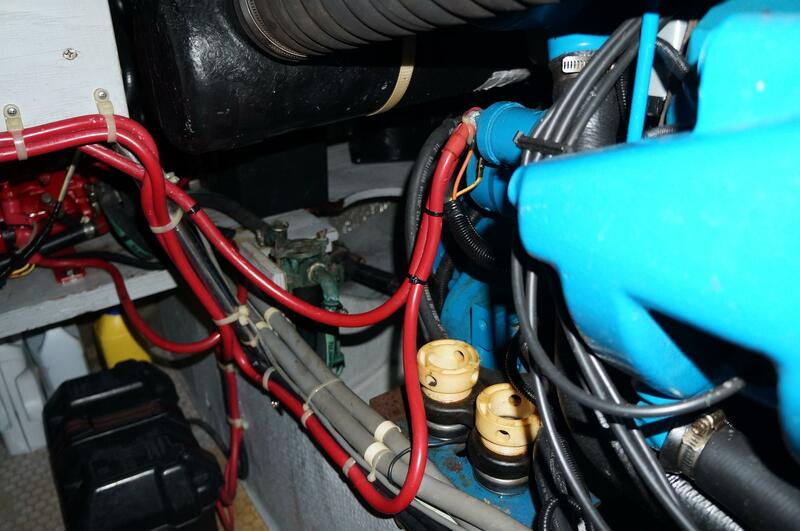 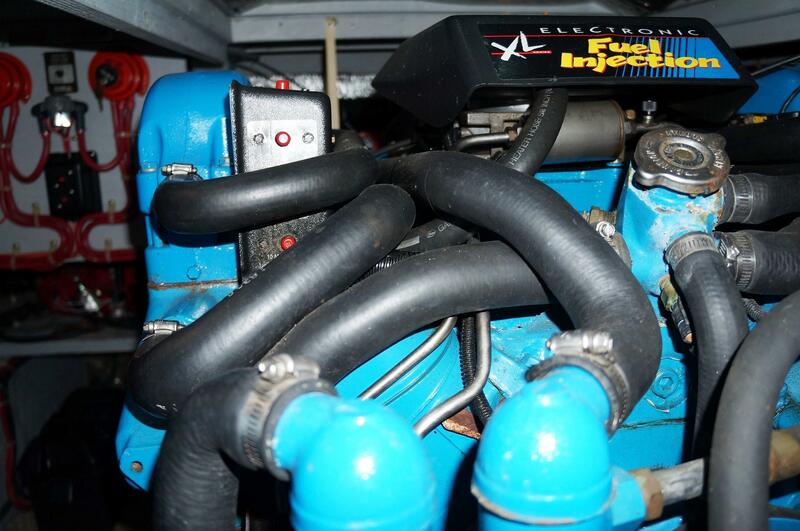 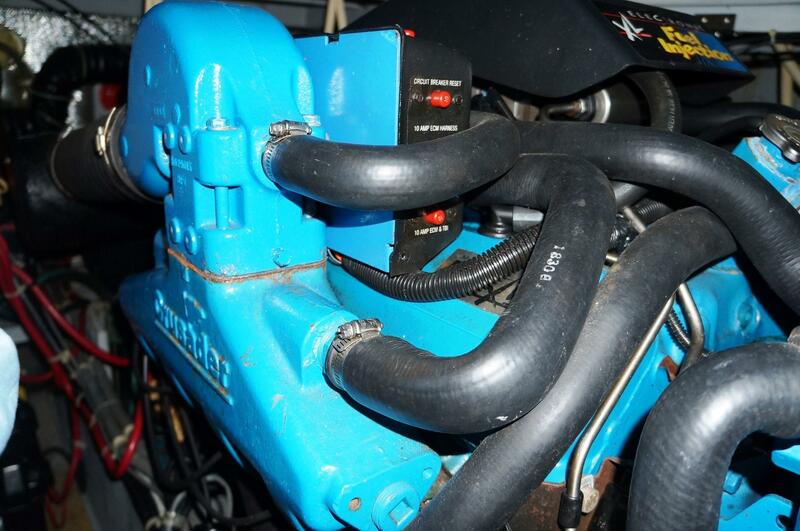 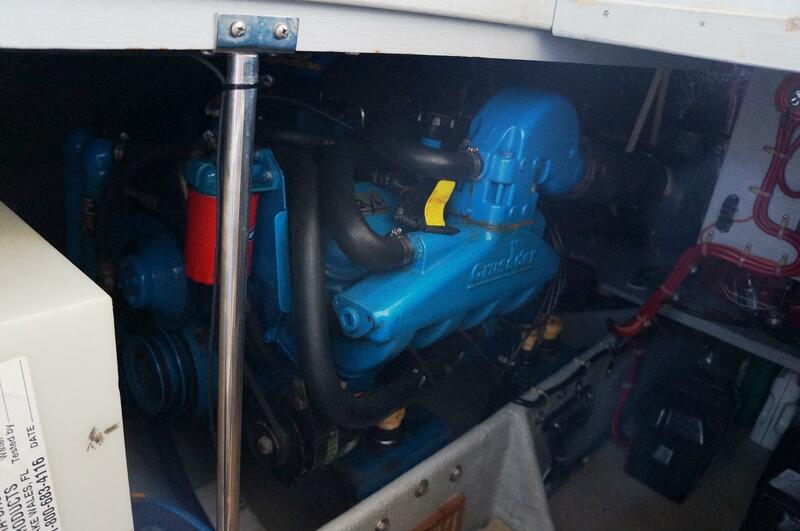 SHE INCLUDES A NEWER, 2012, WESTERBEKE 7.5kw GENERATOR, WATER HEATER AND FORWARD &AFT BILGE PUMPS. 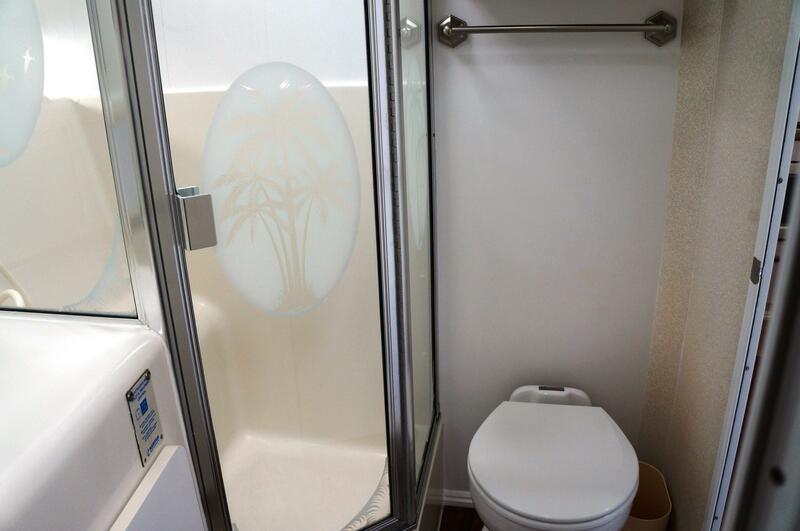 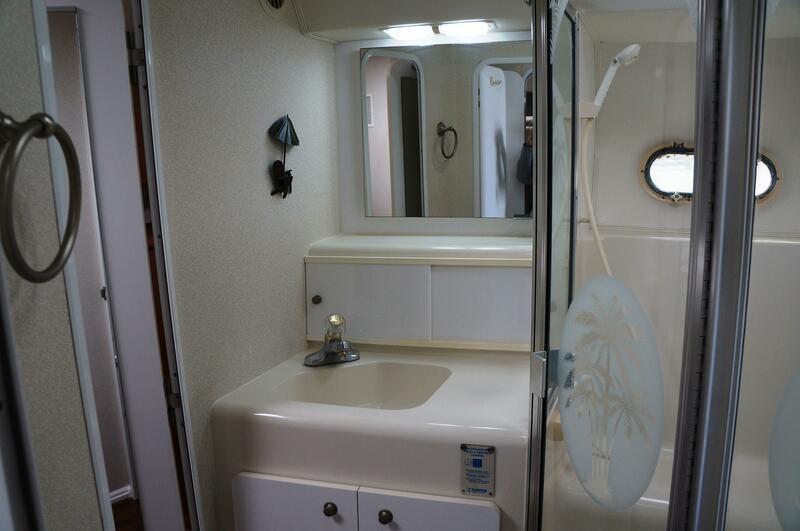 IN 2016 SHE HAD A NEW FRESH WATER TOILET INSTALLED, IN 2017 SHE GOT NEW VINYL COMPOSITE FLOORING FOR THE LOWER GALLEY, DINETTE & HALLWAY AREAS AND NEW SALON CARPET. 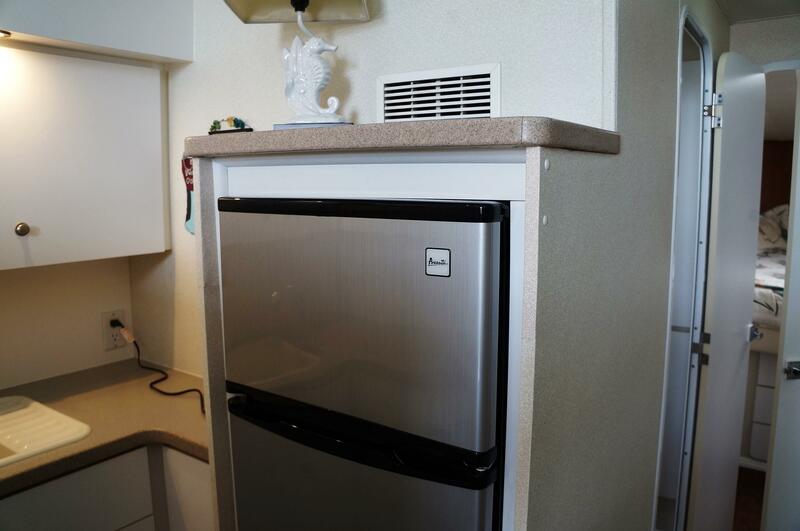 2018 SAW A NEW 120 VOLT REFRIGERATOR/FREEZER. 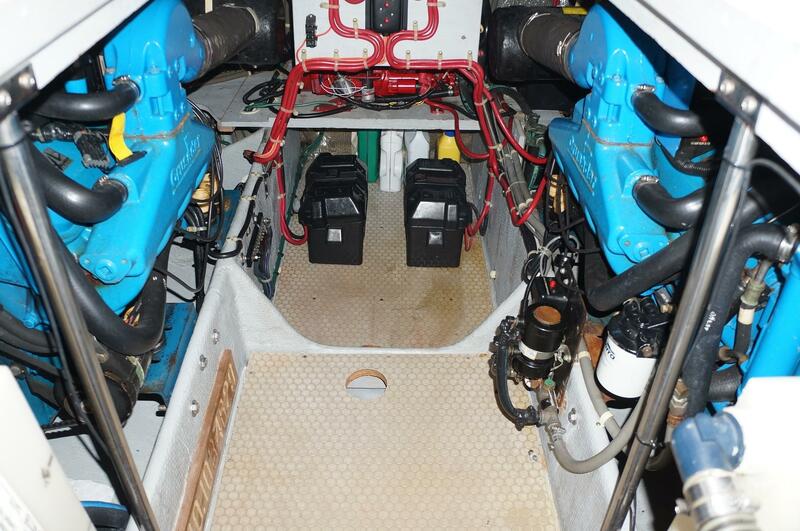 SHE HAS HAD CONSTANT MAINTENANCE, UPDATES AND UPGRADES AND IT SHOWS! 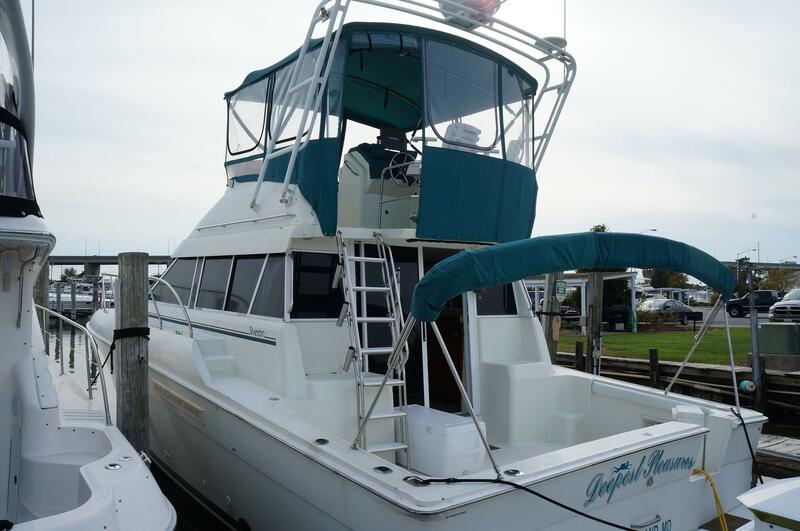 FIRST SEEING THE BOAT, SHE LOOKS TO BE FAR BIGGER THAN HER 41 FOOT NAME WOULD HAVE YOU THINK. 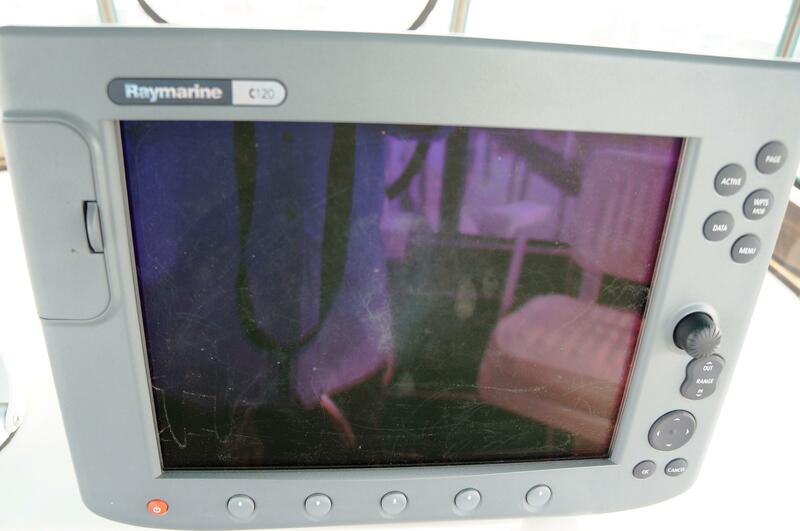 AS YOU ENTER THE COCKPIT THROUGH THE TRANSOM DOOR, THERE ARE 3 FISHBOXES, WITH STORAGE BELOW THEM. 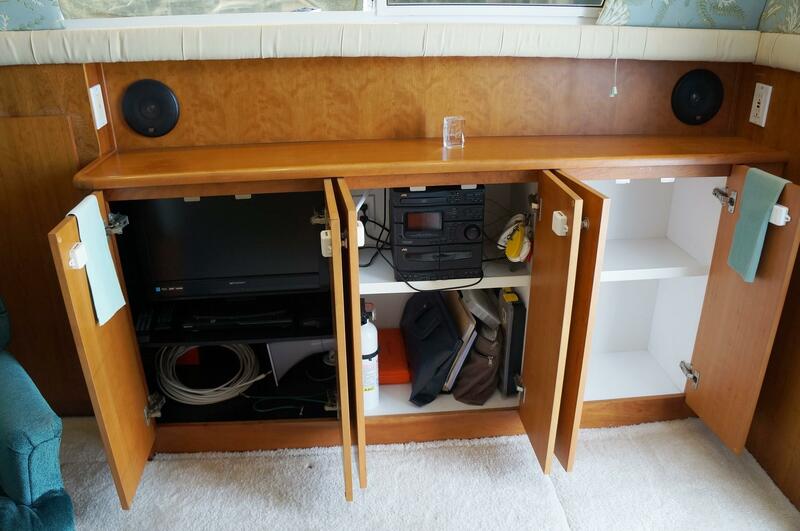 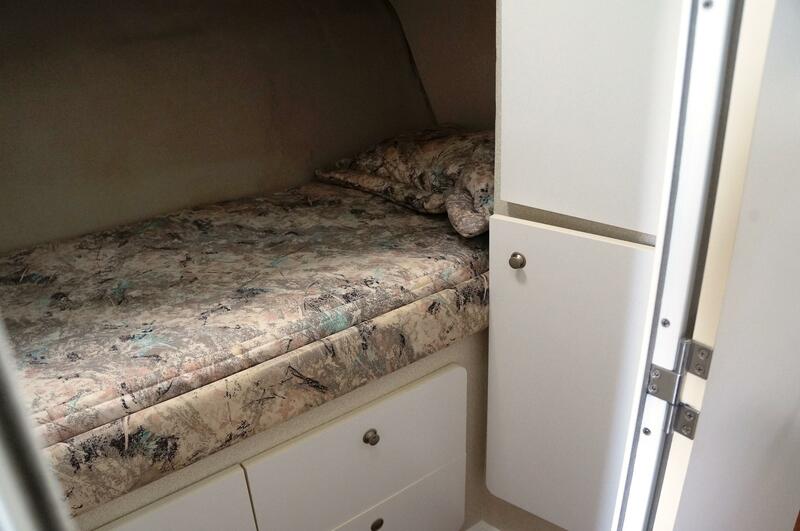 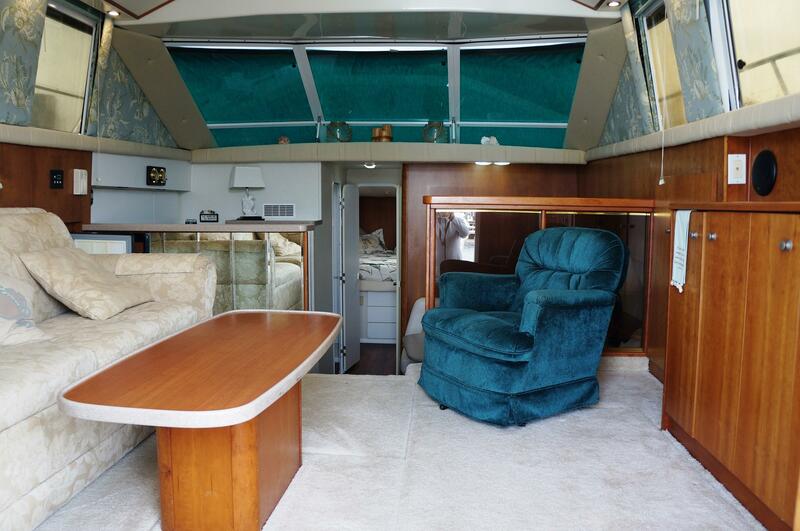 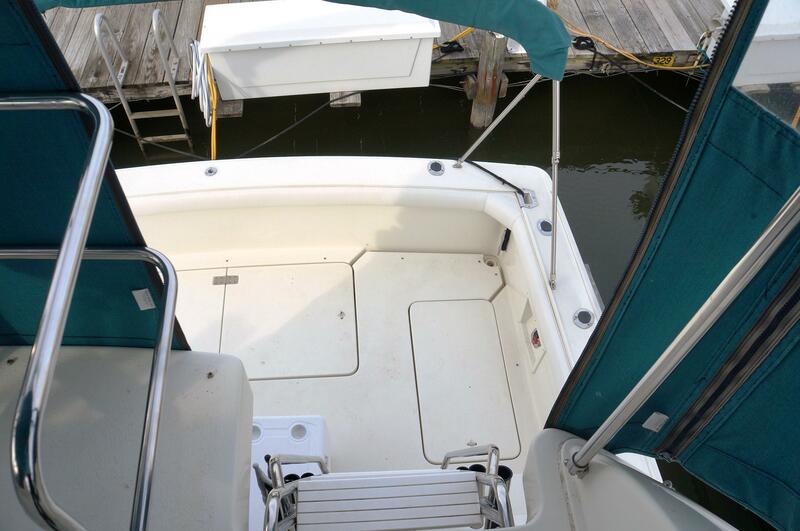 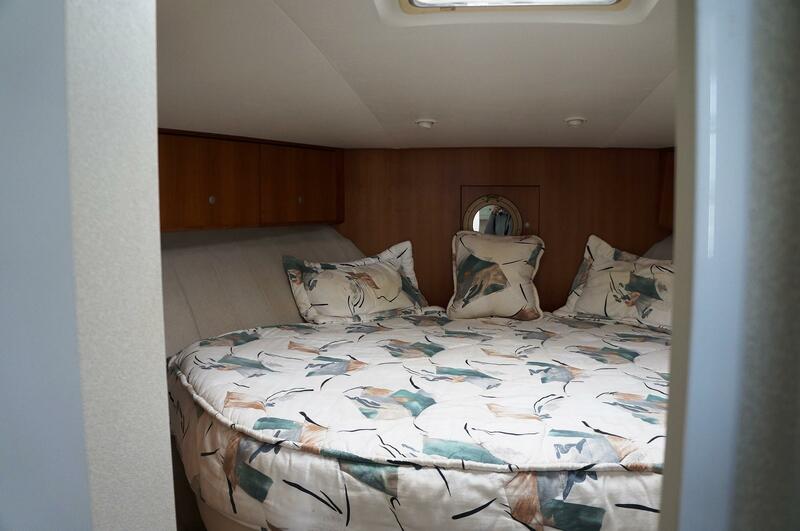 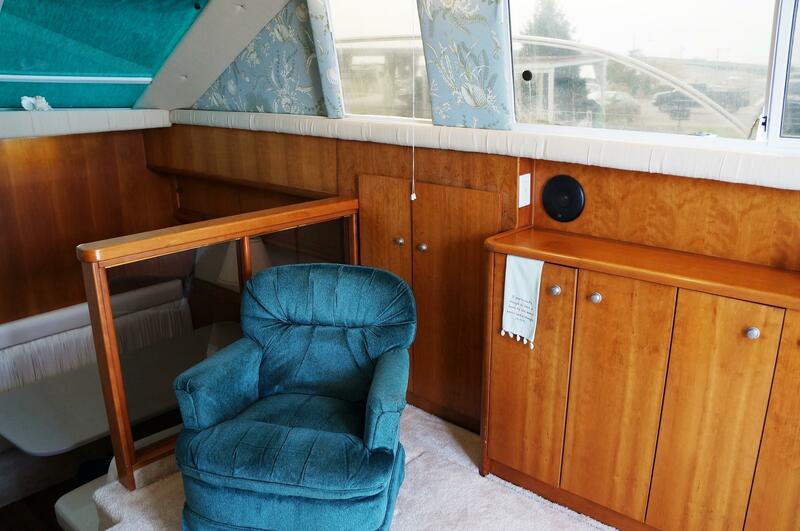 HER COCKPIT IS WIDE OPEN FOR ENTERTAINING OR FISHING SHE INCLUDES A PREP AREA WITH SINK AND STORAGE CABINET. 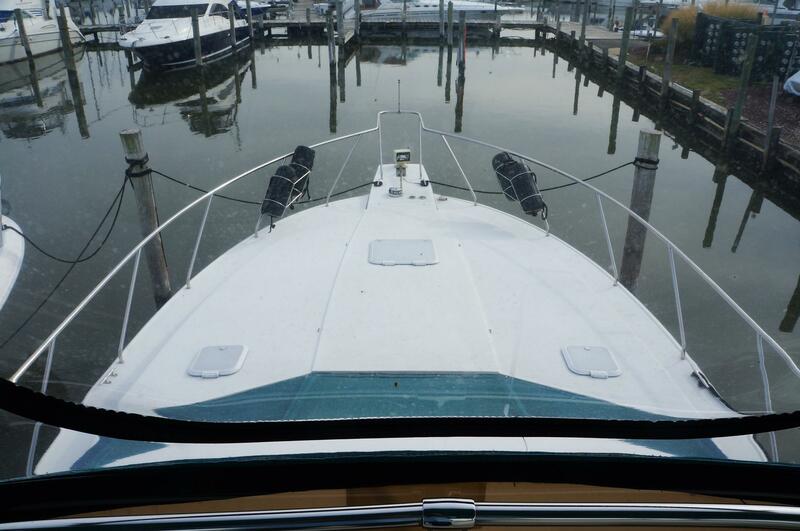 UP THE LADDER TO THE BRIDGE, THE HELM SITS TO THE AFT, ALLOWING COMPLETE VISIBILITY TO THE COCKPIT AND THE AFT. 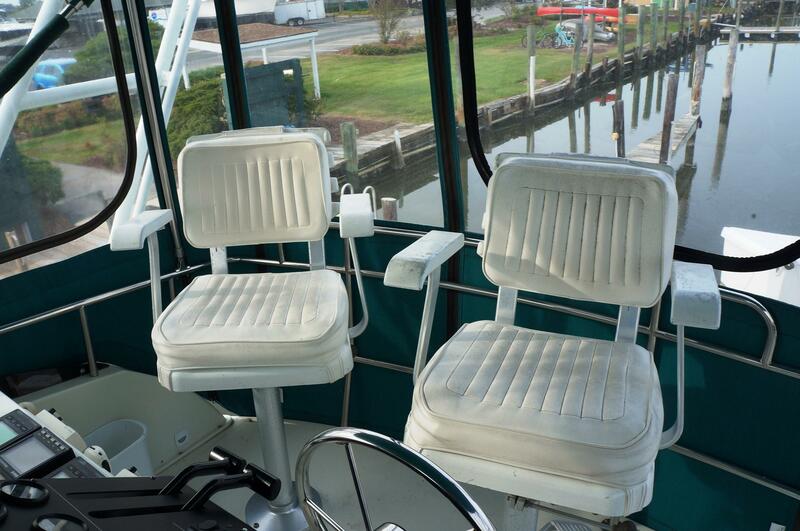 THE FLYBRIDGE HELM INCLUDES A COMPANION SEAT AND A FULLY INSTRUMENTED HELM. 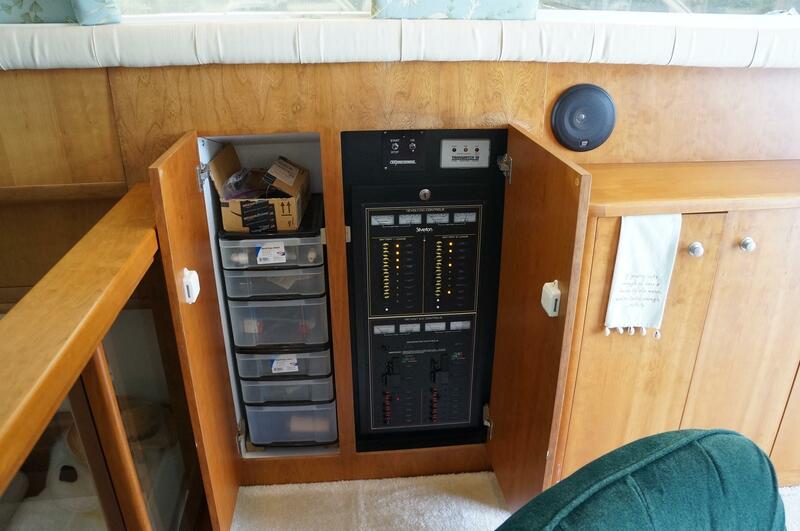 THERE IS A NICE RAYMARINE C-120 DISPLAY w/RADAR and CHART PLOTTER. 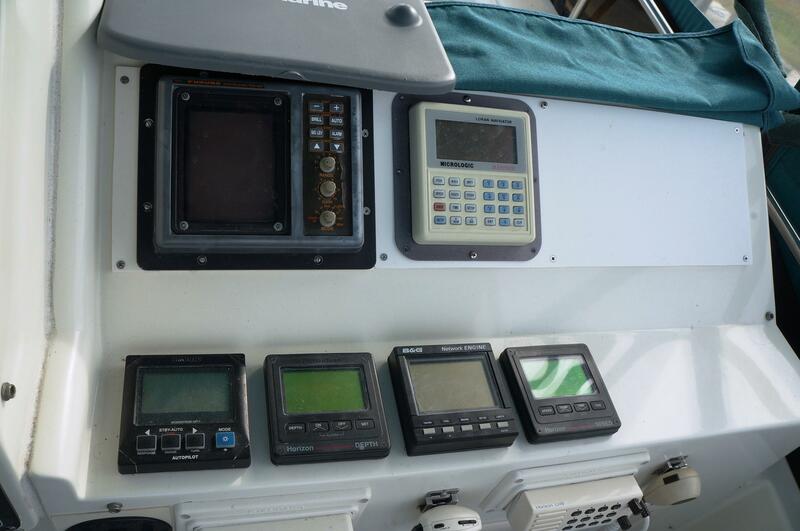 OTHER ELECTRONICS INCLUDE AUTO PILOT, HAILER, FISH FINDER, ENGINE SYNCHRONIZER, DEPTH FINDER. 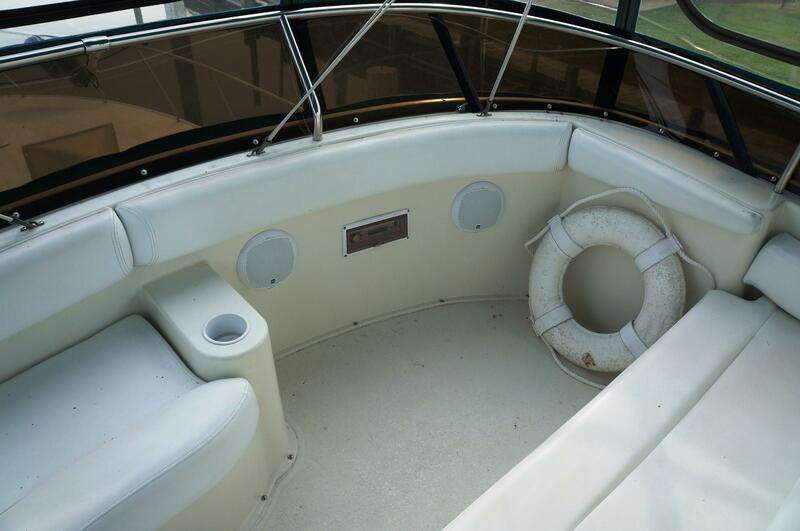 TO THE SIDE OF THE HELM AND FORWARD OF THE HELM IS SEATING AND A STEREO. 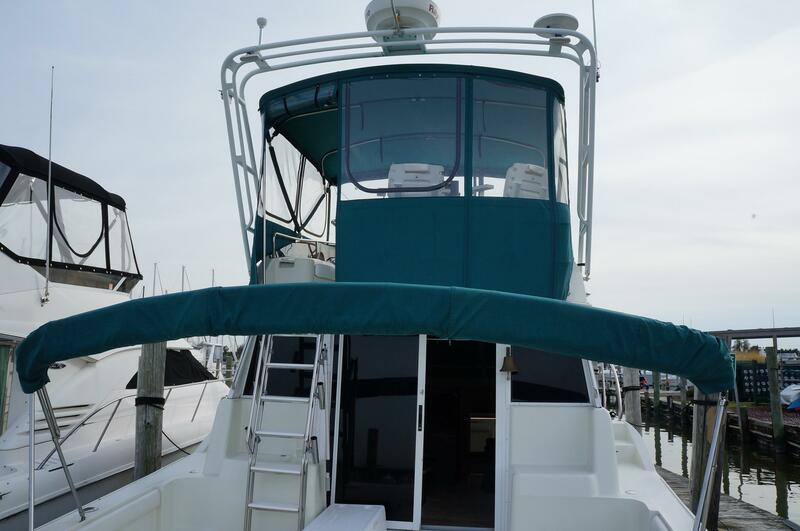 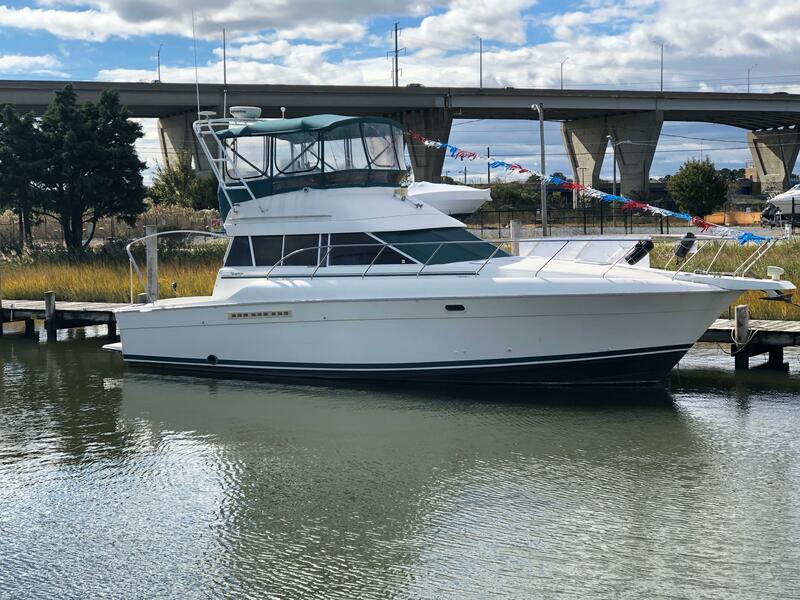 HER FLYBRIDGE IS FULLY ENCLOSED AND ALSO HAS A COCKPIT SHADE BIMINI AND A BRIDGE WINTER COVER! 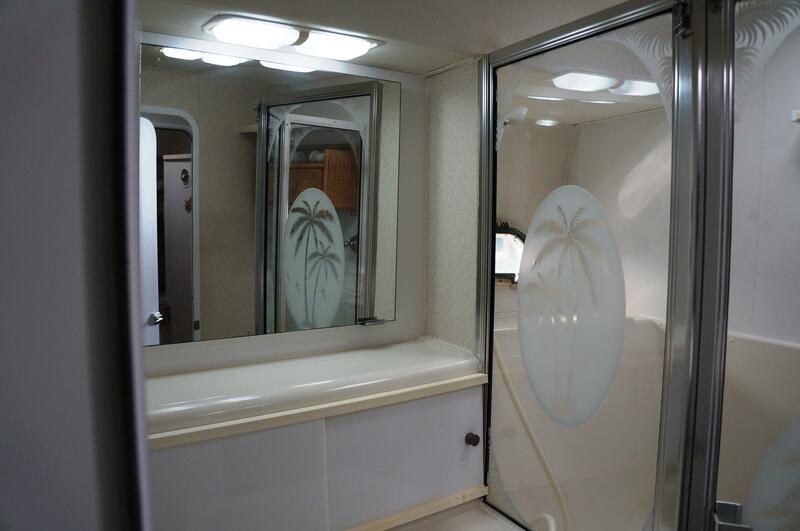 AS YOU ENTER THE SALON THROUGH THE LARGE SLIDING DOOR YOU WILL BE AMAZED AT HOW BIG HER INTERIOR LIVING AREAS ARE AS WELL AS THE INCREDIBLE NATURAL LIGHT THROUGH THE OPENING SIDE WINDOWS. 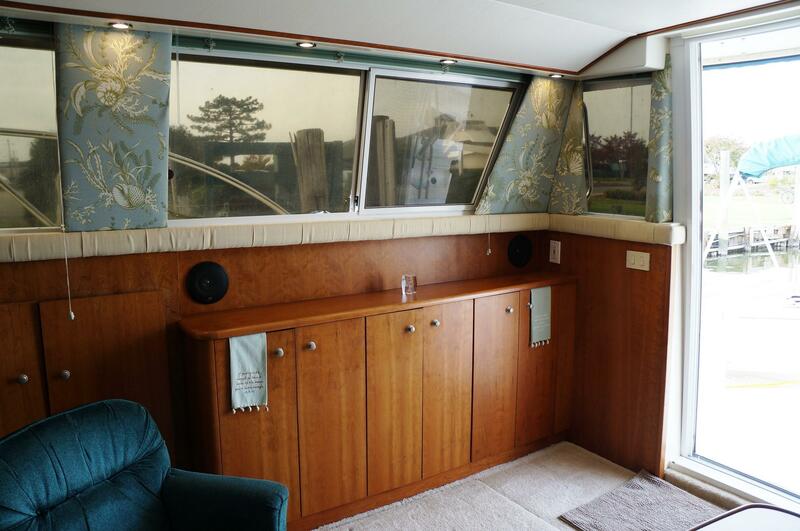 HER SOFT GOODS AND WOOD WORK ARE IN VERY GOOD CONDITION WITH PLENTY OF STORAGE. 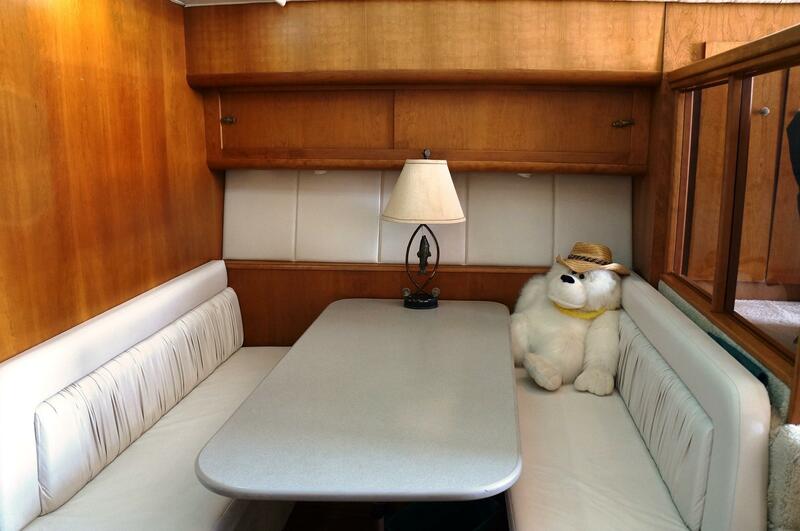 SHE IS A GALLEY DOWN SET UP WITH A LARGE GALLEY DIRECTLY ACROSS FROM THE LARGE DINETTE, SEATING FOR 4 TO 6 PEOPLE. 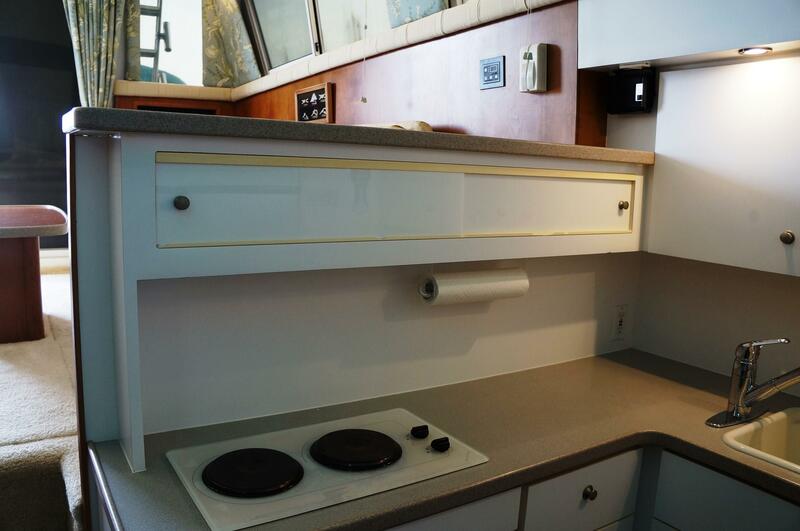 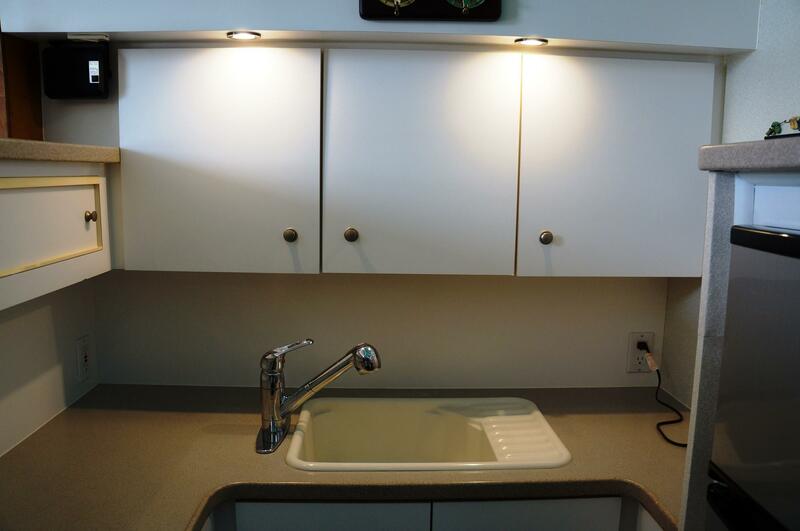 HER GALLEY INCLUDES THE NEW REFRIGERATOR, AND A CONVECTION MICROWAVE, LARGE COUNTER TOPS, LOADS OF STORAGE AND A DEEP SINK. 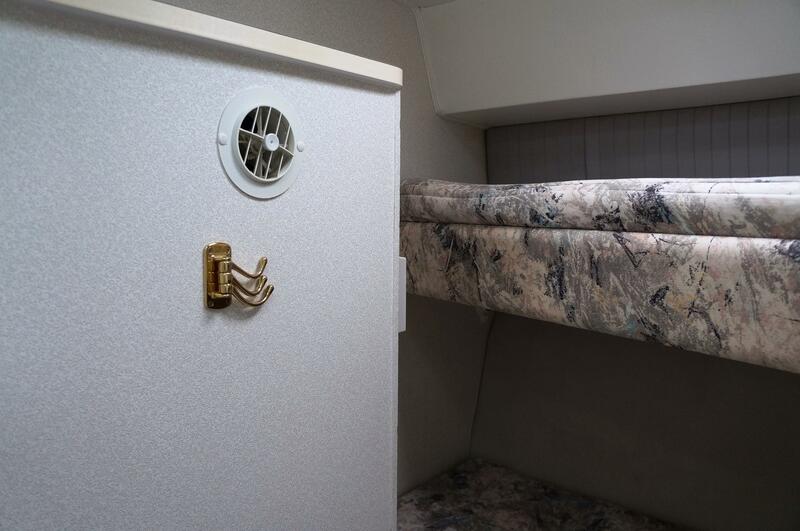 MOVING FORWARD, THERE IS THE GUEST STATEROOM OR "BUNK-ROOM" WHICH INCLUDES A SET OF BUNK BEDS, HANGING LOCKER AND ADDITIONAL STORAGE WITH A FULL DOOR FOR PRIVACY. 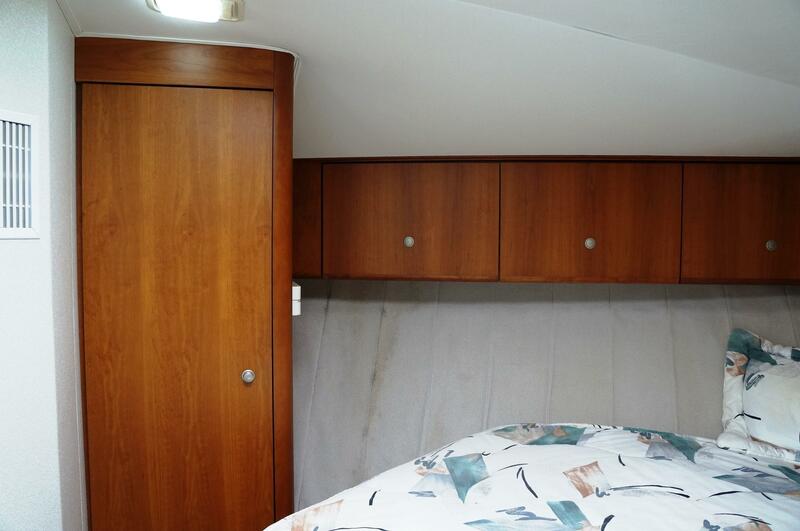 OPPOSITE THE BUNK-ROOM IS THE HEAD WHICH INCLUDES A LARGE VANITY WITH SINK AND STORAGE, FRESH WATER TOILET AND A LARGE STALL SHOWER. 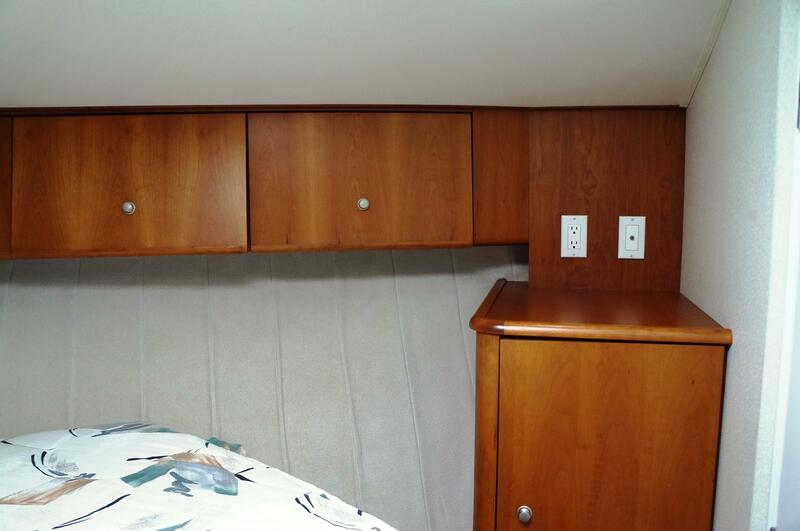 ALL THE WAY FORWARD IS THE LARGE MASTER STATEROOM w/ A CENTER LINE WALK AROUND BERTH, HANGING LOCKERS AND MORE STORAGE. 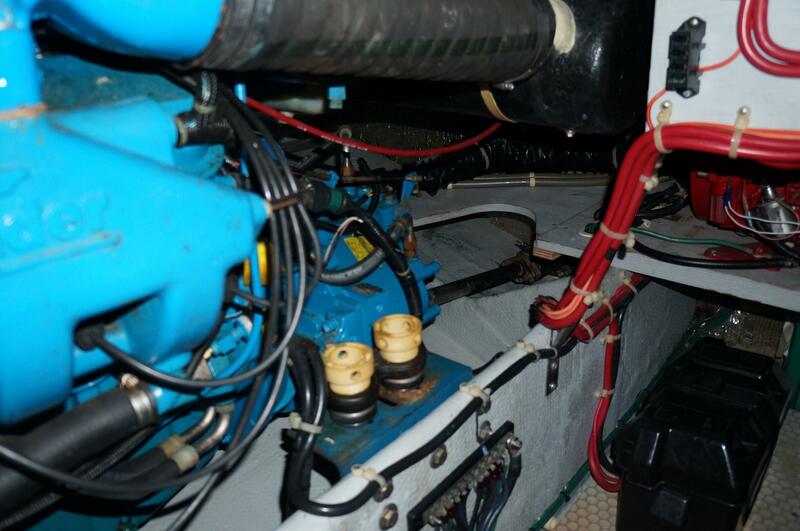 ACCESS TO THE ENGINES AND MACHINERY IS THROUGH A HATCH IN THE SALON FLOOR. 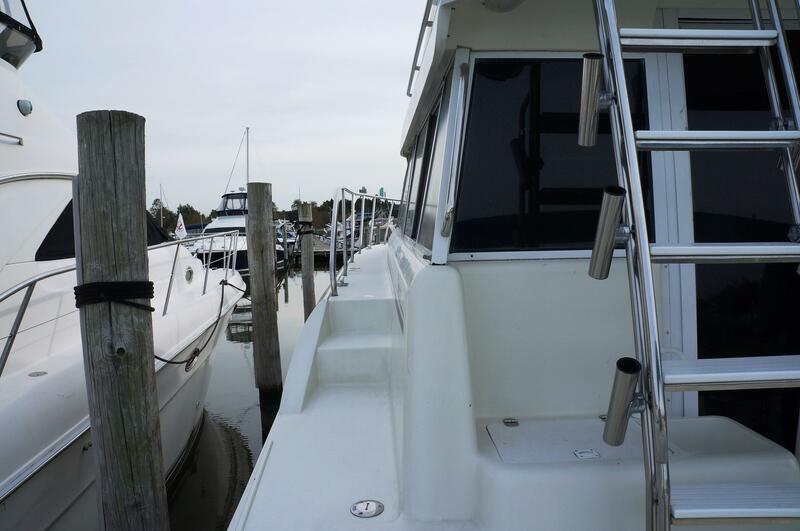 THERE IS AN ALUMINUM LADDER FOR ACCESS AND PLENTY OF ROOM BETWEEN THE ENGINES FOR SERVICE AND MAINTENANCE. 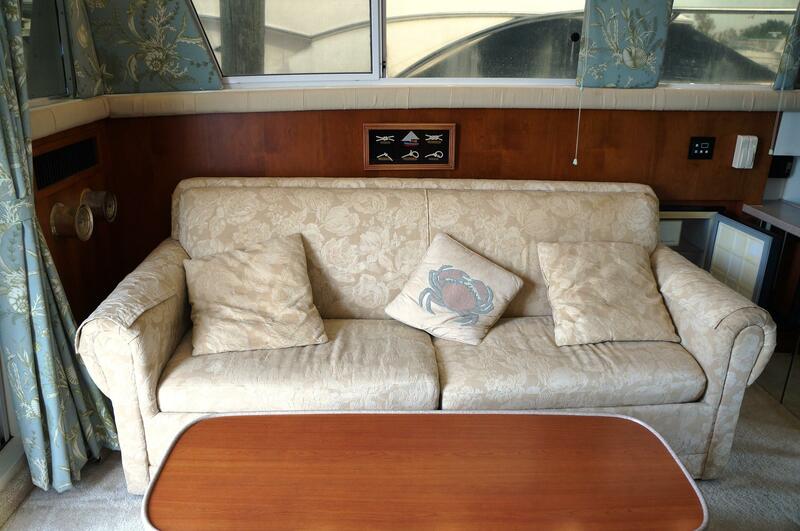 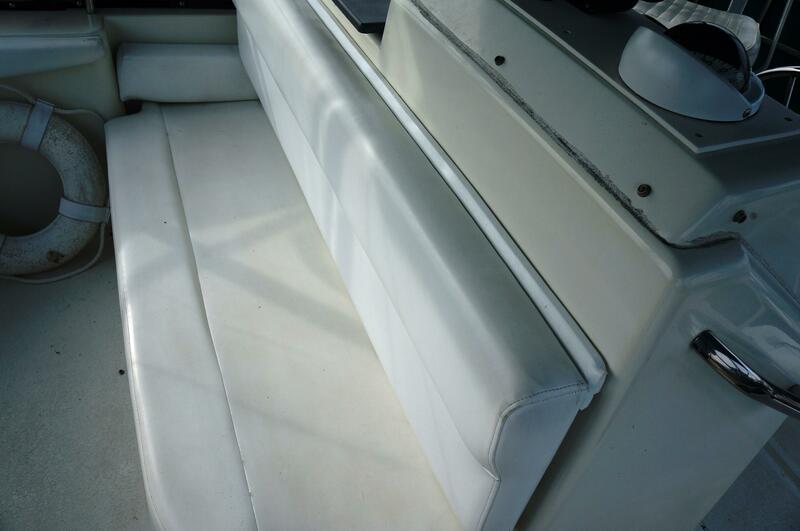 The Silverton 41 Convertible features the Silver Service Plan and Marine Pac. 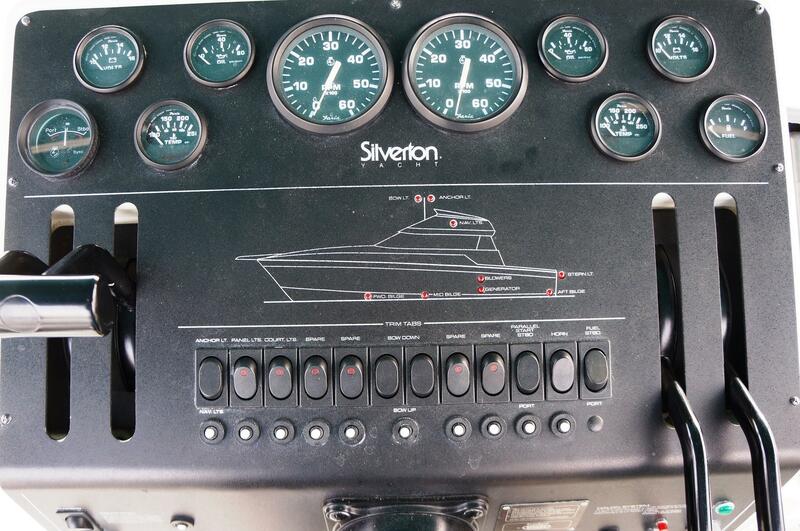 Silverton starts by combining the finest designs with the best of modern engineering and manufacturing methods. 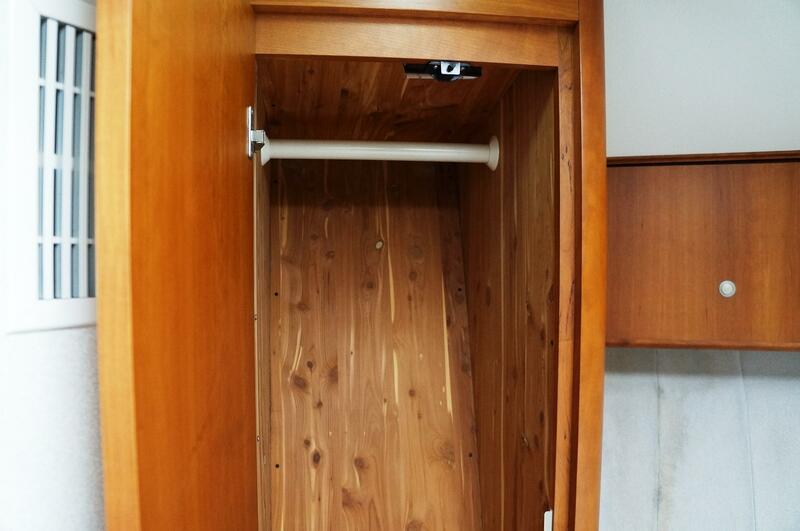 There are no short cuts. 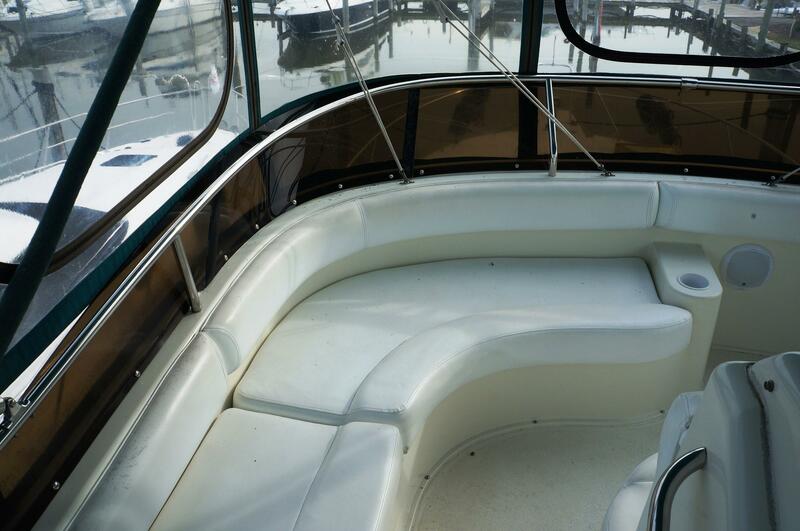 Every inch of the 41's fiberglass hull is hand-laid. 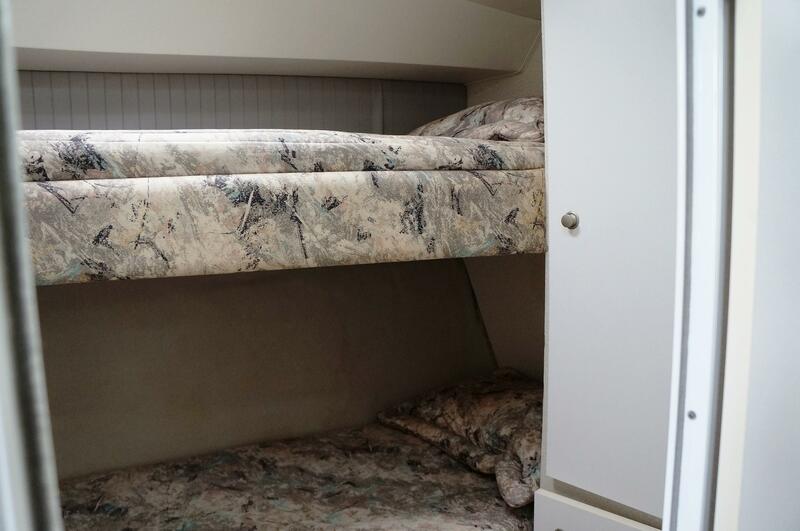 Every material is the best. 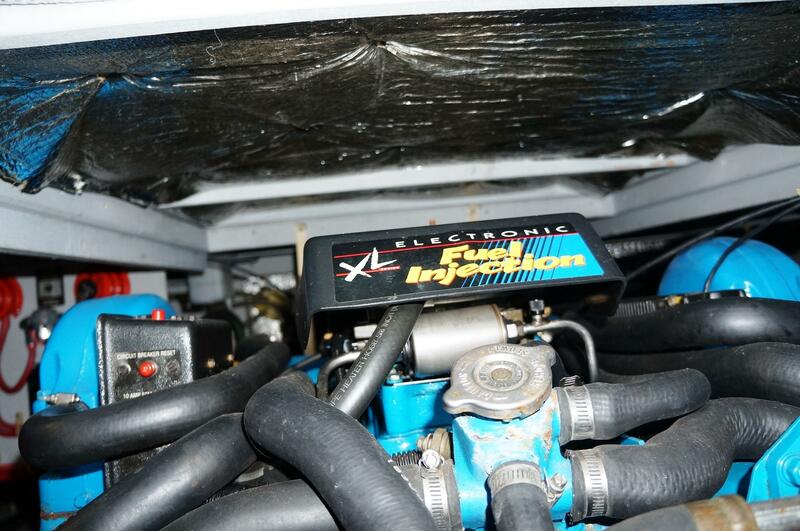 Intelligent utilization of techniques like modular design, standardization, just-in time manufacturing, and economies of scale allow Silverton to lower costs without cutting corners. 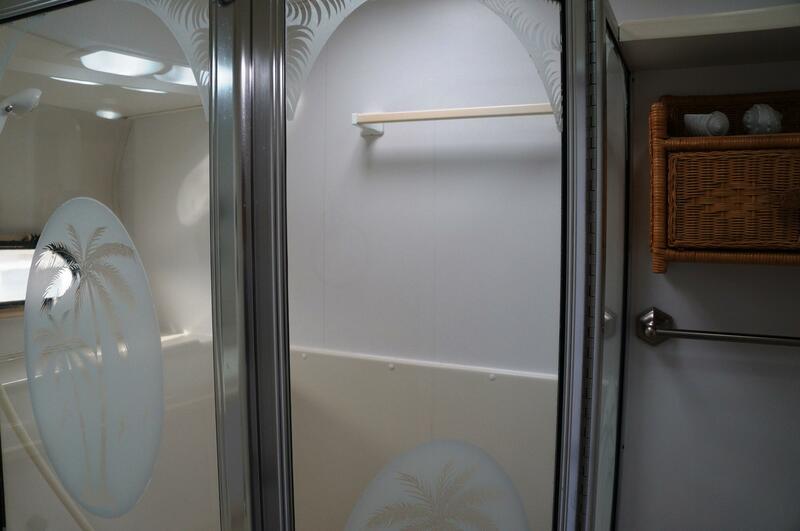 It also allows Silverton to offer Marine Pac, the largest collection of standard features and amenities in the industry - features you'd expect to find on larger, more expensive yachts. 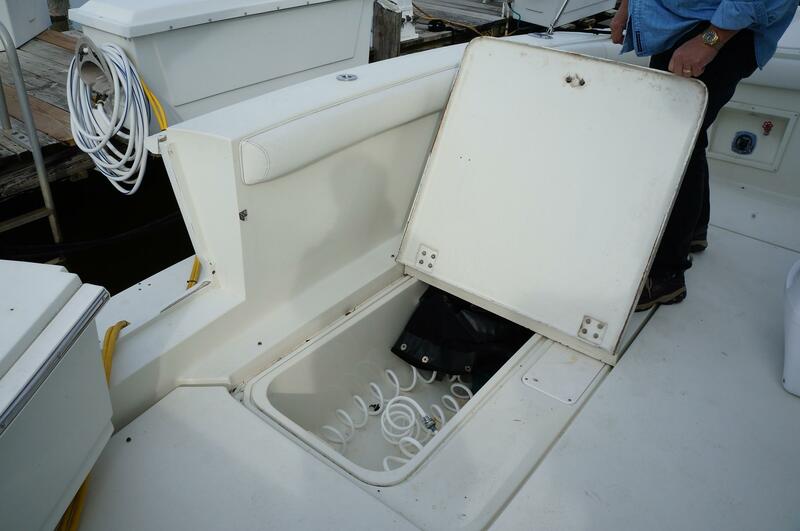 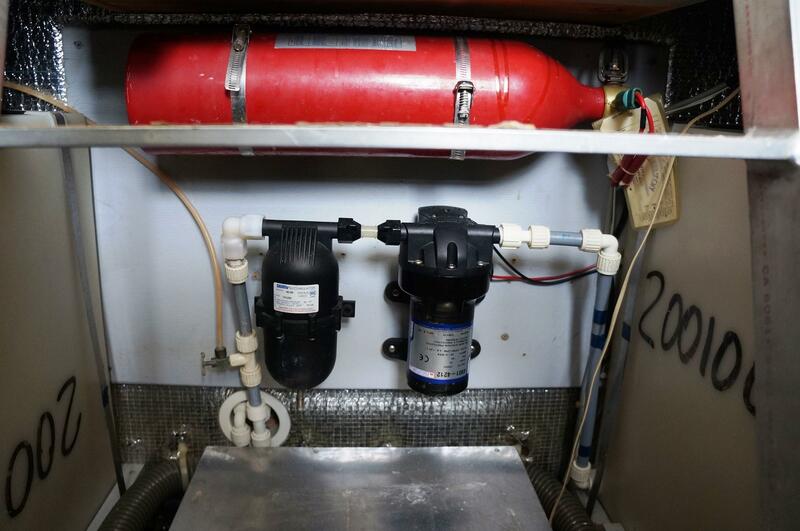 They include luxuries and necessities like swim platforms, trim tabs, bow pulpits, microwaves, anchors, and boat hooks. 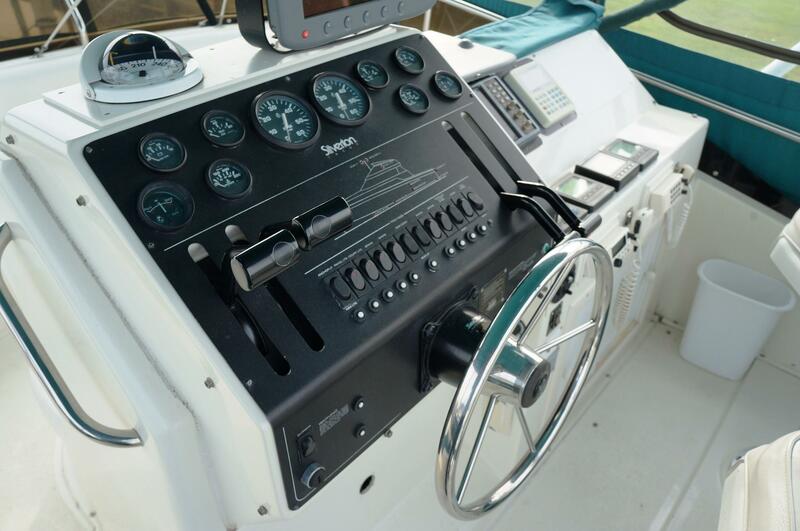 In addition to the standard features, Silverton keeps boating safety in mind. 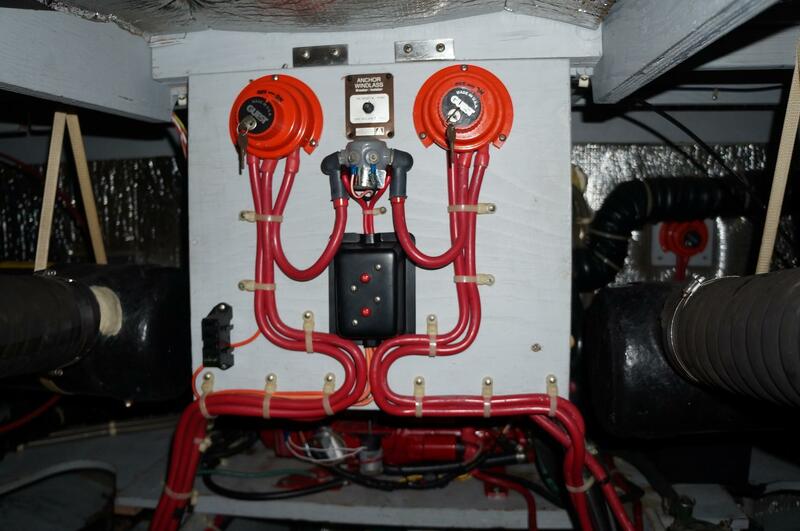 An automatic fire extinguishing system, life preservers and much more are all standard on the 41. 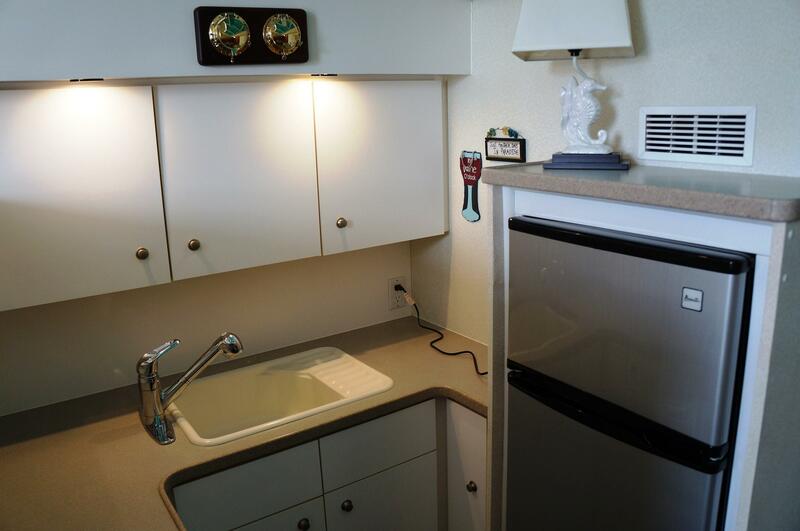 Silverton backs it all up with the Silver Service Plan. 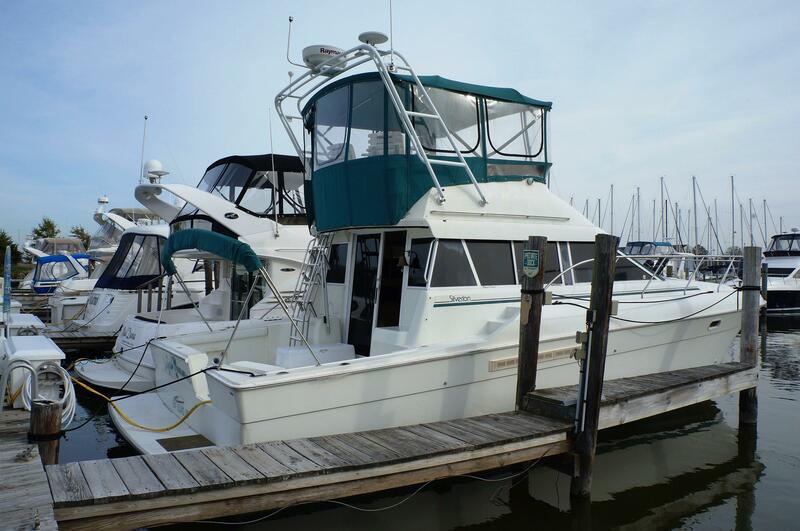 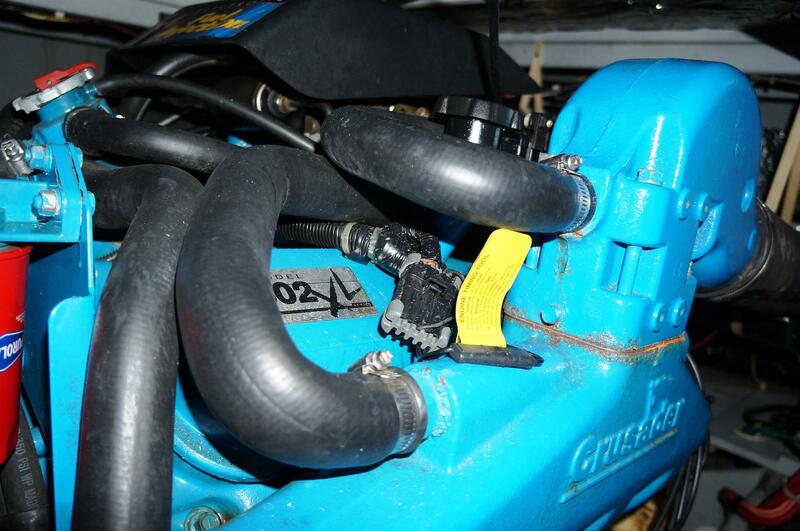 It includes a limited 5-year hull warranty, and a toll-free customer hotline.